Attorneys say some of a woman’s money that was believed stolen by former guardian Jeffrey Schend has been located in her trust account. Outagamie County Assistant Dist. Atty. Kyle Sargent didn’t say Tuesday how much money investigators found, although court records suggest it was no more than about $20,000. Still, Sargent said the finding could affect the charges filed against Schend, who faces six felony counts and one misdemeanor count of theft. “If they found the money, those charges are going to be dismissed or (reduced) depending on how much those amounts are,” Sargent said. Schend, 44, pleaded not guilty Tuesday, and Reserve Judge Larry Jeske scheduled a jury trial for Sept. 12. 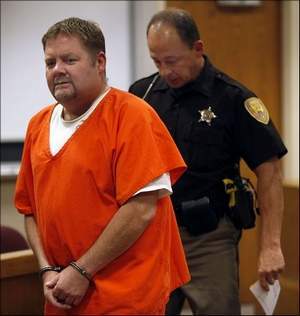 A former Appleton guardian accused of stealing hundreds of thousands of dollars from his elderly and disabled clients will go on trial in September. Jeffrey M. Schend, 44, pleaded not guilty to seven counts of theft, six of them felonies, during an arraignment hearing today in Outagamie County Court. Reserve Judge Larry Jeske scheduled the trial to start Sept. 12. 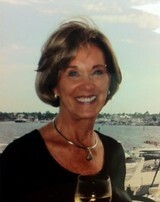 Schend, who operated a corporate guardianship business, is accused of stealing about $500,000. As a guardian, Schend was appointed by county judges to handle finances for those deemed incompetent to manage their own affairs. Assistant Dist. Atty. Kyle Sargent said the case would take a week to present. Outagamie County appointed an attorney to look into the finances of Schend’s clients after receiving complaints last fall that the business, JMS Guardianship Services, wasn’t paying clients’ bills. Attorney Douglas Hahn found tens of thousands of dollars in transactions from accounts managed by Schend weren’t properly documented. Schend wasn’t able to show police where the money went, records say. Prosecutors charged Schend in May with six felony counts of theft and one misdemeanor theft charge. One of his clients is missing nearly $168,000 from a trust fund that closed last year. MetroHealth wants her out. The family wants her to stay put. Esther Piskor, 78, has been physically abused by nurses’ aides inside the Prentiss Center nursing home at MetroHealth Medical Center. 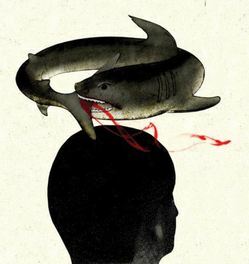 The abuse was caught on a hidden camera that Esther’s son, Steve Piskor, placed inside Esther’s room with the staff’s knowledge. The family went to court seeking a temporary restraining order, trying to stop MetroHealth from moving Esther out of its facility. The nursing home argues that Esther should be placed in another facility to ensure her safety and welfare. Steve Piskor says it doesn’t make any sense. MetroHealth disciplined eight employees based on abuse caught on the hidden camera. Now that MetroHealth has presumably cleaned house, Steve says they want to toss Esther out the door. “Metro should be taking responsibility and stop being so defensive. My mother is the victim here, not Metro,” Piskor said. Family attorney David Krause says MetroHealth is giving Esther the boot to retaliate against the Piskor family for coming to Channel 3 to expose the abuse. The usual tactics – a pricey television advertizing blitz, personal pressure on lawmakers and piles of campaign contributions – didn’t work this time for Ohio’s nursing homes. The two-year state budget Gov. 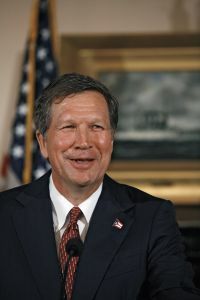 John Kasich sign[ed] into law [6/30/11] slashes Medicaid rates paid to nursing homes by nearly 6 percent starting [7/1/11], and it eliminates guaranteed increases that the powerful lobby persuaded legislators to put into state law years ago. “In some ways you live by the sword, you die by the sword,” said Robert Applebaum, director of the Ohio Long-Term Care Research Project at Miami University’s Scripps Gerontology Center. Longtime Arizona attorney Grant Goodman has made serious allegations over the last year against attorneys and guardians in Maricopa County Probate Court. “Assets are being raped and pillaged every day,” said Goodman. Accusations like that may have landed him in trouble. “The conduct that’s going on in probate is in effect, unconstitutional,” he said. The State Bar of Arizona has now temporarily suspended Goodman’s license to practice law. “I haven’t had a client so far that has complained,” said Goodman. The suspension comes after Goodman filed lawsuits on behalf of incapacitated adults. They were adults Maricopa County Probate Court ruled couldn’t handle their money or medical care. The ABC15 Investigators reported on those lawsuits in a series of stories last year, uncovering flaws in the Maricopa County Probate System. Families accused the court of allowing their loved ones to be isolated and heavily medicated while their assets were liquidated. In an interview with ABC15 more than a year ago, Goodman described the county’s probate process as criminal. Local attorney Grant Goodman had his law license suspended for five years following a finding that he habitually exploited “vulnerable” Probate Court clients. In an order signed [7/21/11] by William O’Neil, the presiding disciplinary judge for the Arizona State Bar, Goodman’s actions are described as potentially harmful to the public and the legal profession if allowed to continue. Ellis Hanson pulled a small piece of paper out of his pocket and stared at it blankly. Not understanding what it was, he asked his wife to look. It was a receipt for a $260 lunch at Shula’s Steak House in Naples. Velta Hanson was surprised. Her then- 84-year-old husband, a brilliant engineer in the early stages of Alzheimer’s disease, had no recollection of eating there hours earlier. 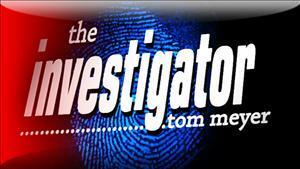 That day, Sept. 30, 2008, Velta Hanson hired a private investigator. But days before receiving his report, she found a letter revealing her husband had written a $10,000 check to a friend of two decades, Alma Teti. That was the day she asked her husband if she could take over their finances. It turned out that was just a fraction of what Ellis Hanson had given Teti, now 69: more than $1 million in checks from 2006 to 2008, nearly $85,000 in jewelry since 2005, including a $26,000 blue stone ring for her birthday, and thousands in expensive lunches, champagne and drinks. In 2009, the couple sued Teti, alleging exploitation of a vulnerable adult and conversion, illegally depriving the Hansons of their property. “I’ve known Alma for over 20 years and I’m shocked at her lack of integrity by taking advantage of her friend’s trust and exploiting her friend’s husband, a vulnerable elderly gentleman who is mentally compromised,” Micheline Yuan said. “This should be a lesson to anyone attempting to take advantage of a vulnerable adult,” she [Shirley Moore]said. State Supreme Court Justice Judith O’Shea has formally responded to a lawsuit that seeks to force Chemung County to prove it did not exceed its legal authority in its guardianship of a Horseheads man. In her response dated July 18, O’Shea denied allegations made in the suit filed by Sara Harvey of Horseheads, who has been fighting for guardianship of her husband Gary. O’Shea also requested that Harvey’s suit be dismissed. In a June 30 ruling, the state Supreme Court’s Appellate Division in Albany denied motions by the county to dismiss the suit and ordered O’Shea to file a response to the lawsuit by Aug. 1. State Mental Hygiene Legal Services Attorney Kevin Moshier and the county Department of Social Services guardian were also ordered to file responses. Gary Harvey, now 60, suffered a traumatic brain injury following a heart attack and subsequent fall down a flight of stairs in January 2006. Sara Harvey had sought legal guardianship of her husband, but the county Department of Social Services was appointed as his legal guardian indefinitely. The sentencing date has been set for a disgraced northeastern Pennsylvania judge convicted of taking $1 million in bribes from a real estate developer who built a pair of private juvenile detention facilities. 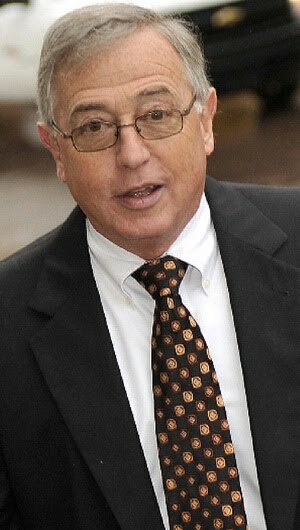 A federal judge scheduled the sentencing hearing for former Luzerne County Judge Mark Ciavarella for August 11. Ciavarella was convicted in February of counts including money laundering and wire fraud as part of the scheme involving another judge. Prosecutors alleged Ciavarella and former county President Judge Michael Conahan ran a kickback scheme involving the closure of the county-run juvenile facility and the construction of two private detention centers. Conahan pleaded guilty to racketeering last year. The scandal prompted the state Supreme Court to throw out thousands of juvenile cases handled by Ciavarella. Renate Arnold says she never used her children to help her shoplift. Never used her 20-year-old daughter, Lisa, to help her become one of the top sellers of The Contributor newspaper. 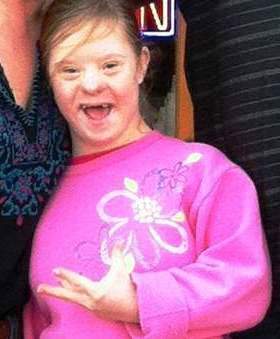 She did not leave Lisa, who has Down syndrome, sitting in a soiled diaper, alongside traffic, in the cold. She did not make her kiss homeless men. No abuse, no neglect. Rather, she says she is being picked on by a group of nosy strangers who disapprove of her lifestyle and the way she raises her children. She has fired two attorneys for not doing enough to get Lisa back in her care. Now, she is suing Davidson County Probate Judge Randy Kennedy, claiming he, too, is keeping her from her daughter and best friend. The formerly homeless woman, who now is representing herself in court, says the judge did not respond to a motion in the time she says is required by law. Now, Kennedy has recused himself from the case. Lisa Arnold, who has the mental capacity of a 3-year-old, will be left in the temporary custody of Belinda Mitchell, a caseworker with The Arc of Davidson County, a nonprofit that helps the disabled, until another judge is appointed on the case. No hearings have been set. You are currently browsing the National Association to Stop Guardian Abuse blog archives for July, 2011.